How well do you know your beef cuts??? I only knew two cuts...back then : cheap cut and expensive cuts. The cheap cuts is full of fat, tendons, mom would used it for curries. We rarely buy the expensive cuts 'batang pinang' / sirloin, locals recommend this cut for rendang. I knew nothing in between, I guessed it was easy for my simple mind at that time. We never complained, DARE NOT complain!!! whether the food is nice or otherwise... beef is tough or dry!! we just eat to fill the stomach. Complain?... you'd go hungry and there was no way (and no money:( too) to go out and buy outside food. I still didn't know my cuts well enough when I was living on my own. 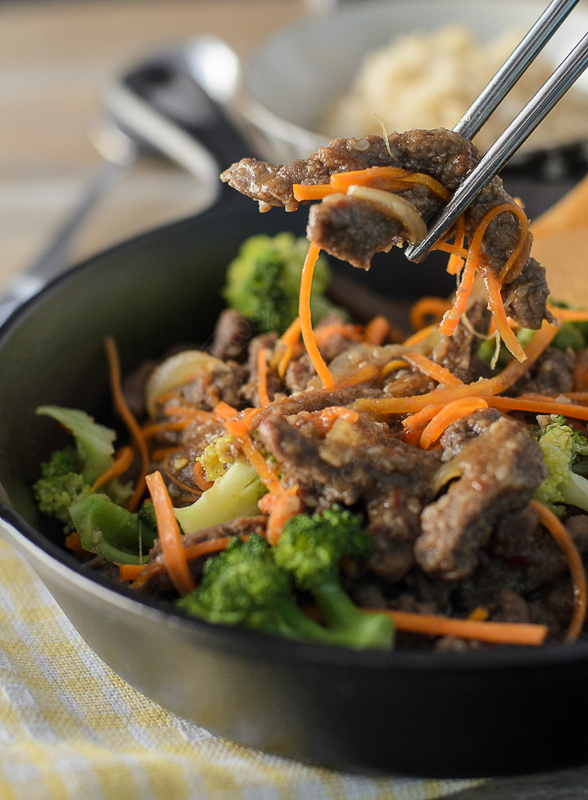 Sometimes, the cooked beef tasted 'dry' and many times my beef-dish was tough (liat)... Its the case of~ "live with it" and I thought that was normal :D.
Mix all ingredients under 'Bulgogi Marinade' in a bottle. Using mallet and mallet down beef to a thin slab. slice thinly. 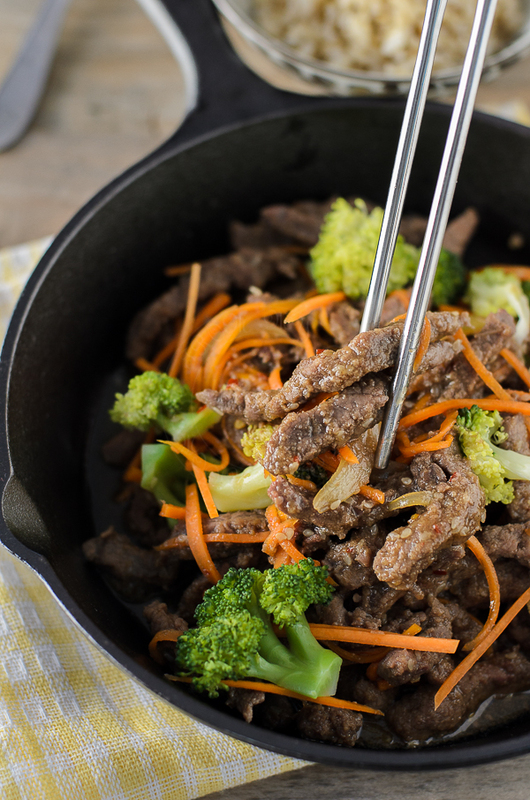 Marinate beef in bulgogi mix. Wash and steam broccoli florets. Heat wok on high heat. Add 1 tablespoon of oil. 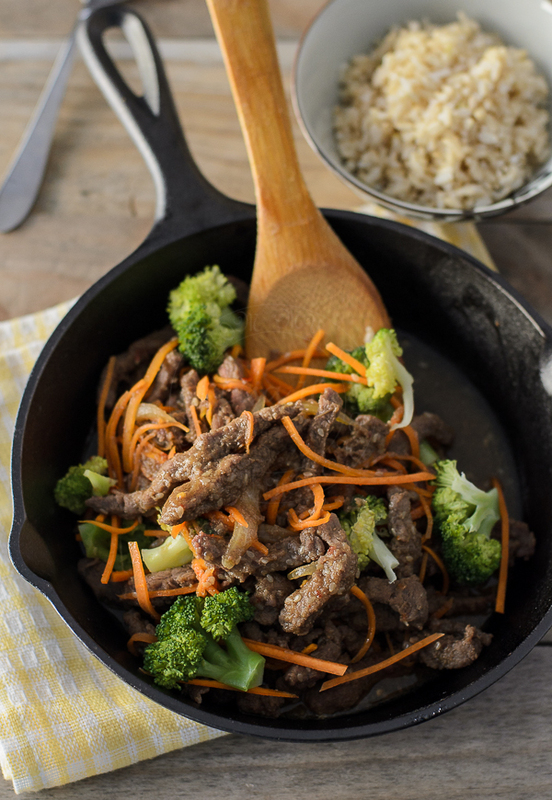 Add the marinated beef for a quick stir-fry over high heat for 1 minute. Add julienne carrots and steamed broccoli. Thicken the sauce with 1/2 teaspoon cornflour. Great info about the cuts of meat. This looks great!! I remember learning the different cuts of meat - they all had different names where I had moved than where I grew up, and I was totally confused! And it really does matter to use the right ones, doesn't it? Speaking of which - I have some of the right beef for this... and that just might be tomorrow's dinner. Looks delicious! I agree with you... its totally mind boggling with beef cuts ;P. I once used rump steak to cook curry, cooked for 40 minutes and it turned out dry, card board taste like :( ..never again! I think putting meat in the cheap and expensive cut group is actually quite good, it really sums up what you can do with those cuts, low slow cooking or quicker cooking. 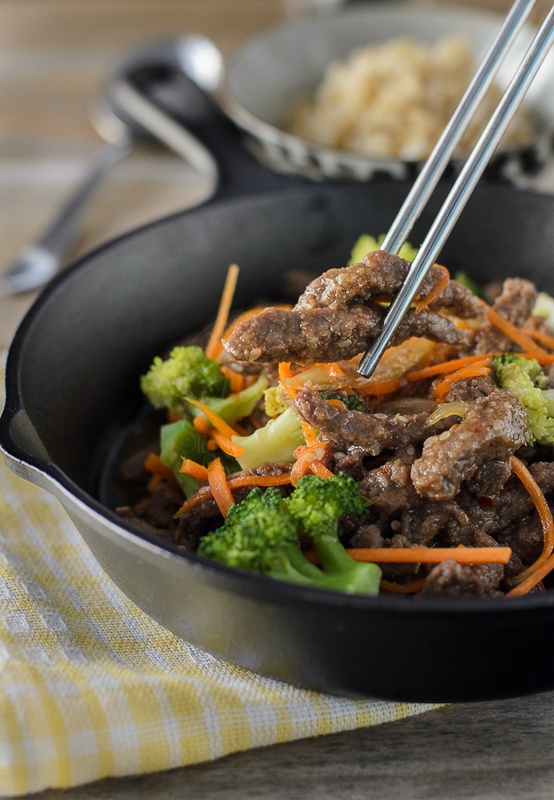 Love the look of your bulgogi. Looks nice! Do you mix the cornstarch with some water before adding it? This sounds amazing! I still struggle with beef cuts. But that's because I migrate toward cheaper cuts (i.e. sirloin instead of ribeye or tenderloin) that just aren't right for the dishes I am making. I need to get over my cheapness! I have learned that the cuts of beef make a HUGE difference in the quality of your dish!